Are You Ready For an Executive MBA? See how other Executive MBA students made the decision to go back to school. Are you ready for an Executive Edge or Global Immersion degree? Many EMBA programs are available to you. As you evaluate your options, consider these 10 reasons for applying to Vanderbilt’s Executive MBA program. 1. Continue working while you earn your degree. 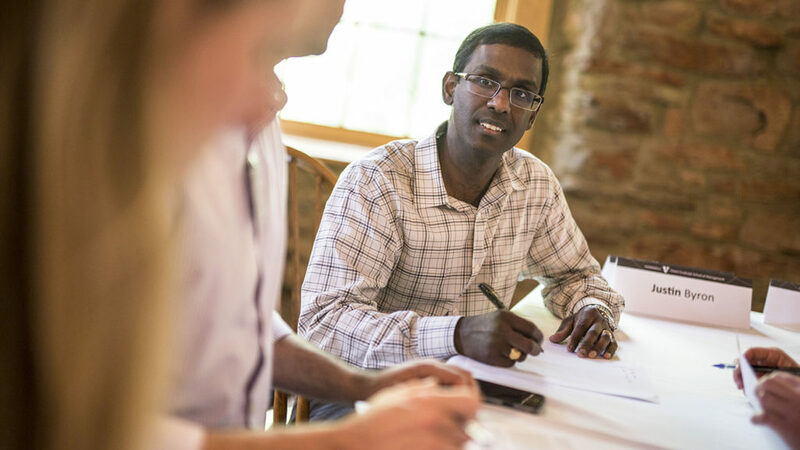 Vanderbilt’s Executive MBA program is tailored to the schedules of working professionals seeking to advance their careers without interrupting their career momentum. The Saturday learning format enables you to bring new solutions and perspectives to work on Monday, thereby improving your productivity. At school, you will regularly be working to resolve job-related issues. 2. Gain confidence that comes with acquiring a deeper understanding of business at a prestigious program. 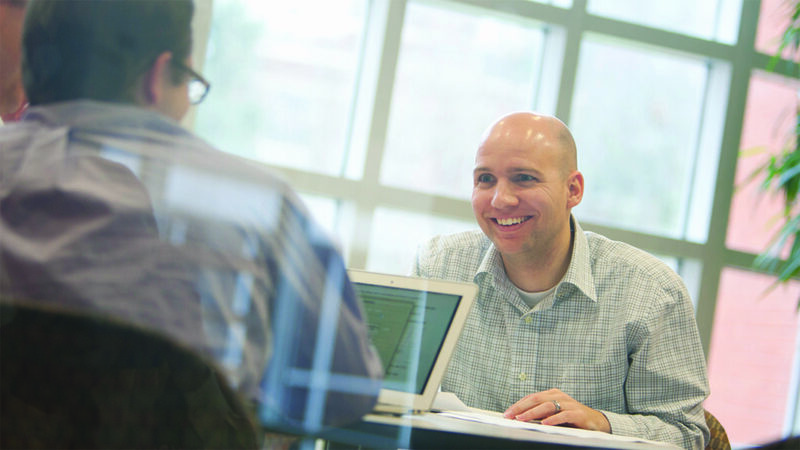 The Vanderbilt MBA is highly respected among leaders throughout the business world. With a comprehensive MBA degree, the Vanderbilt Executive MBA program provides a business education and diploma comparable to the highly ranked weekday MBA program, but with assignments and discussions designed for professionals already well into management careers. 3. Learn how to solve problems and address challenges at work. As students and alumni of the program will attest, you’ll gain practical, proven business skills and tools that you can apply to your job almost immediately (and that others will notice), offsetting the cost of your degree. By gaining a better understanding of a full range of business disciplines, you’ll step beyond your current role to apply new tools learned on the weekend to problems at work the following week. 4. Value your education as an investment in yourself. Vanderbilt graduates surpass the return on investment that is typical among other Executive MBA programs. 5. Position yourself for additional responsibility at work. Students master proactive decision making, innovative problem solving and strategic thinking that enable them to broaden their outlook and organizational contributions immediately. Additionally, our Global Immersion Track is ideally suited for leaders who have (or desire) a cross-border leadership role. 6. Strengthen your leadership and strategic skills. The curriculum for the Vanderbilt Executive MBA program is tailored specifically for established mid- and senior-level executives who want to advance even further. The emphasis on leadership and strategic skills provides you with higher-level perspectives that will allow you to guide your organization effectively. 7. Expand your global understanding and experience. In any given Executive MBA class, about 18 percent of the students are foreign nationals or naturalized U.S. citizens. Others travel abroad extensively in their professional roles. If you choose the Global Immersion Track, your second year will be spent as part of an international cohort of executives from Brazil, Mexico, Canada and the U.S. If you choose the Executive Edge Track, you will have the option of completing an international residency during your second year, which will involve corporate visits and networking events that will diversify your practical knowledge of the global market. 8. Do your best work in a collaborative environment. Vanderbilt executive students and alumni will tell you that the small group dynamics in a collaborative atmosphere make all the difference between knowing and truly understanding. While both the Executive Edge and Global Immersion Tracks are built around student and work groups, the Executive MBA C-Team combines the full set of skills and perspectives of a typical executive office lineup—representing four or five industries and the functional expertise of finance, operations, development, information technology, human resources, and marketing. As a result, the program prepares you to function effectively as part of a team and exposes you to viewpoints, solutions and perspectives different from your own. 9. Learn from professors who offer real-world experience. Drawing upon their consulting and research expertise, our internationally acclaimed faculty (from Vanderbilt and other premier business schools in Brazil, Mexico and Canada that partner with us in the Global Immersion Track) bring the classroom alive with real business problems and industry insights. And because the program is small by design, you’ll have unparalleled access to these top-ranked faculty as you get to know them both personally and professionally. 10. Benefit from a diverse and extensive business network. At Vanderbilt, you become part of a diverse, extensive and committed network of business leaders who will be there to offer advice and perspectives whenever and wherever your career takes you. Your network will include your classmates, with whom you will remain connected long after you graduate, as well as nearly 9,000 alumni who have earned the MBA and other advanced business degrees at Vanderbilt.